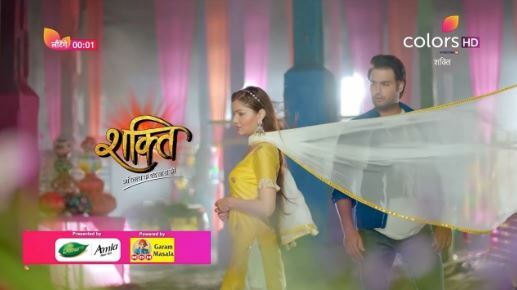 The Episode starts with Harak Singh coming for Harman’s rescue. Inspector says this is not right to stay outside someone’s house. Harak Singh shouts and shows the papers, saying this land is of me, and says I am silent because of your uniform else would haven’t. He tells that Harman is his only heir and can do anything on his land. He asks inspector to leave. Inspector leaves. Sukha’s plans fails to get him arrested. Harak Singh tells Harman that he is with him and tells him that this land is him and asks him to do as he wants. He asks him to sit there. He goes with the Lawyer. Harman says now I will see who asks me to go, now I can see this land is of my father. Varun gets lawyer’s call and he tells that he found a man who will take the baby accepting all his conditions. He asks him to get baby out from there anyhow. Varun says ok. Harak Singh meets his lawyer. Lawyer says file is complete and asks him to sign. Harak Singh signs. Lawyer says we shall go to court tomorrow and you may be the custody of baby tomorrow. Varun tells Sukha that they have to take the baby out somehow. Sweety says how? Sukha says when Harman goes from here, we will take baby out from here infront of Soumya, and then we will see how Harak Singh and his family save him. Harman asks Soumya to go home and have food. Soumya refuses. He says you will get weak. Soumya says I will not go from here until I get Soham. Harman says I will go home and will bring food and clothes. Soumya says ok. Sukha and Varun see Harman leaving. Sukha asks Gurmeet to hear what to do. He tells Varun to do what to do. Varun smirks. Harman comes home. Preeto packs tiffin and asks him to go and have food with Soumya. Harman says ok and says I will leave. Harak Singh asks him to have food and go. Harman says Soumya is alone there. Preeto asks shall I come? Harman says no. Soumya is seated outside alone and waits for Harman. She thinks why he didn’t come, if everything is fine. Gurmeet calls Sukha and informs him that Harman is coming there. Sukha asks him to do as he said and keep the phone on. He calls tiger to Harman and says you are lifting things like a donkey. Harman says I don’t want to answer a dog. Gurmeet provokes him and says I will make your mum and dad wash my house utensils. Harman asks him to ask Sukha that he was a worker in his father’s factory. Gurmeet talks badly about Soumya. Sukha calls Police and asks him to arrest Harman. Gurmeet slaps Harman. Harman holds his neck. Inspector comes and arrests Harman. Gurmeet smirks. Soumya sees two men coming in the car and taking a box. Varun asks them to keep the delicate stuff inside carefully. Soumya asks Varun what is in the box. Varun asks them to do the work. They leave in the car. Soumya runs behind the car. Harman tells inspector that he didn’t do anything and tells that Gurmeet was talking bad about his wife. Soumya continues to run behind the car. Kinnars come to help her. Soumya comes infront of the car and takes the box, but the man refuses to let her open it. Baby’s sound comes from it. The man throws the box. Soumya gets shocked and opens the box. She finds the toy inside. Saya tells that baby is not here and says they have fooled us. They rush back. Varun leaves with Soham in the car. Sunaina locks the door. Sukha says we will go to Police station now. Veeran comes and tells about Harman’s arrest. Harak Singh tells that it is Sukha’s trick and asks her to call Soumya. Soumya comes to Sukha’s house and find the lock. She calls Harman, but his phone is with Police.. Harman asks Inspector whose call it is? Inspector says it is of Gulabo. Harman asks him to make him talk to her once. Inspector says you are not Damad here. Gurmeet laughs. Preeto calls Soumya and asks where is she? Soumya says they took Soham somewhere and Harman is not picking the call. She runs. Sukha and his family come to Police station, and tells that Soumya eloped with the baby and Varun went behind her. Harman says it is a lie. Sukha comes to him and says in low tone, that Varun took the baby and Soumya went following him and you are here. He asks what you will do. Harman holds Sukha’s neck and says if Soumya or Soham get even a scratch then he will end his family. He takes Inspector’s gun and aims at him. Gurmeet asks Harman to leave his father. Harman aims gun at Sukha. Precap: Inspector shoots Harman twice. Soumya is shocked.